 Natural England and Lake District Foundation are working together in partnership with other organisations – including Cumbria Wildlife Trust, ArtGene, The University of Cumbria, The National Trust and The RNLI – to support exciting developments with the England Coast Path (ECP). Once complete, the ECP will be the longest waymarked coastal trail in the world at 2,700 miles! As part of the ECP developments, Cumbria has been successfully selected as one of three Living Coast projects; Living Coast: Cumbria has a long term vision to improve Cumbria’s coastal environment and to encourage social and economic reform to the area by better engaging people with this special place. We are kick starting this by delivering two projects on the ground and working with local communities to establish a pipeline of activities that will help us achieve our aim. To make our collective vision a success requires sustainable long-term financing. The Lake District Foundation are working in partnership with Natural England to engage with local businesses and large industries to support the Living Coast: Cumbria project. If you are interested in engaging with the Living Coast: Cumbria get in touch with Caroline Conway [email protected] / 01539 822622. The Living Coast project sees the England Coast Path (ECP) as more than just a path. It is a national programme with ambitions to use the completion of the ECP as way to better engage more people from more sectors of society with our coastal environment. The project is a visionary, coastscape scale programme for the whole of the English coastline. Living Coast: Cumbria will sit within this national framework but will deliver local partnership projects that have big benefits for nature and people. What is the vision and core objectives for Living Coast? More people from more sectors of society benefit from the environmental, economic and social services inspired by the implementation of the England Coast Path (ECP) and provided by Living Coast projects and activities. • To increase the number and diversity of visits and visitors to the coast. • To develop the ECP as a responsible tourism destination that provides high quality, locally distinctive, inclusive facilities and experiences for both local communities and visitors. What are the Living Coast: Cumbria project aims? • Living Coast: Cumbria aims to have a beneficial impact on the environment of West Cumbria and the people who live, work and visit this special area. • Improve understanding of our amazing coastal environment, why it is special, why it needs protecting and the benefits people can get from spending time in nature. • Increase biodiversity, reduce habitat loss and improve habitat connectivity, while balancing increased coastal users. • The Lake District National Park currently welcomes 19 million visitors each year yet only 8% head to the West coast – it is estimated that if visitor numbers increased by just 2% this would bring in an additional £12m to Cumbria’s coastal communities. Living Coast: Cumbria aims tackle awareness and attractiveness to the West coast to improve the visitor experience and increase visitor numbers. What is the approach for Living Coast: Cumbria? • Industry engagement and investment – For Living Coast: Cumbria to be a success we need to take a sustainable, long term approach to funding improvements to the environment and associated activities on our coastline. We need local businesses – whether small one-man enterprises or large industrial organisations – to be behind us and to realise the benefits that their investments will bring; Investments may come as financial donations and/or providing equipment and people power to complete some of our aims. The benefits to businesses are numerous; as a business partner we can offer promotion of your company online and on the ECP itself. Association with Living Coast: Cumbria may also fulfil aims in your own corporate social, health and wellbeing policies. Additionally, by investing in your community you are in turn investing in both your current and future work force. • Cumbria Youth Voice – We have been working with young people aged between 11 and 18 years old who live in and around Barrow to better understand what they think of their coastal environment, how they use it and, importantly, what stops them from using and benefitting from it in the way they want to. We have connected with approximately 50 young people from various schools and youth groups in the area and we will be hosting some events in the near future to share the outcomes of this work. We are also in the process of setting up a youth steering group to help us direct the future priorities of Living Coast: Cumbria. • Beach Schools – According to a Keep Britain Tidy survey, just under one in five children (18%) have never set foot on a beach. For children growing up by the coast this environment provides an opportunity to learn outdoors. As well as studying the impact of plastic pollution and the beauty of coastal flora and fauna, the children can also learn about tidal forecasts, lunar cycles, ecology and geomorphology. Furthermore, outdoor learning has benefits in developing the “whole child”: in areas such as self-confidence, social skills, motivation, resilience and concentration, not to mention language and communication skills. Studies have also shown that children who struggle more within the restrictions of the classroom often flourish in outdoor spaces, where they may feel less constrained and more independent in their learning and discovering. And the benefits of beach school are not confined to children, but extend to their parents too. Virtually any form of immersion in the natural world heightens your overall well-being and it has been shown that taking part in nature-based activities helps people who are suffering from mental ill-health and can contribute to a reduction in levels of anxiety, stress, and depression. Beach Schools and associated activities will be developed with local schools and groups. The facilities will also be made available for holiday clubs and activities for visitors. • Ticket to Ride – Living Coast: Cumbria aims to connect more people from more sectors of society with our coastal environments. This might include people who do not have access to a car or those people who, for various reasons, prefer to take short walks. Ticket to Ride encourages local people and visitors to use the Cumbrian Coast train line. We are working with ArtGene to create series of short circular walks starting from stations on the line. The maps for these walks will be designed in collaboration with local people and will include their stories as well as environmental, historical and cultural information. Alongside the tickets and maps, we are developing a paperless version with opportunities for contactless donations to other Living Coast: Cumbria initiatives. • Trail Partnerships – To ensure the long term maintenance and safety of the England Coast Path we need to work in partnership with Cumbria County Council and other local stakeholders. Living Coast: Cumbria is supporting the set up and long term vision of the Trail Partnership as we recognise that best way to manage long distance trails is to bring together people with different skill sets. Where the funds generated from the pilot project go? The donations generated will sit in a fund with the Lake District Foundation. We will aim to grow this money by using it as match funding for other grants available to us and relevant to Living Coast: Cumbria. All money will be spent on delivering projects in West Cumbria that bring benefits to people and the coastal environment.